Warning: Do not bring manure compost into your garden from outside sources unless you’re certain it doesn’t contain aminopyralid residues! 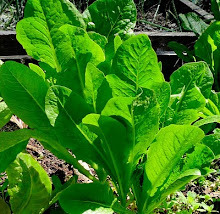 If you inadvertently apply aminopyralid-laced manure compost to your garden, you may suffer the crop-killing consequences for three or more years. We’ve been reporting since 2008 on the Environmental Protection Agency’s (EPA) failure to prevent Dow Agrosciences from contaminating the public compost supply by selling persistent herbicides, and the issue continues to escalate. The aminopyralid herbicide known as Milestone, plus other related herbicides collectively known as pyralids (sold under the brands Confront, Curtail, Forefront, Hornet, Lontrel, Millenium Ultra, Reclaim, Stinger and Transline), are still surfacing unexpectedly in gardens throughout the United States, with devastating results. The EPA allows Dow and others to sell these potent weed killers to farmers, who spray them on their pastures and hayfields. When animals graze on the treated pasture or hay, the chemicals pass through the animals and persist in the manure for several years — even if the manure is processed into compost! Gardeners then use the contaminated hay or compost on their crops, bringing a slow death to carrots, lettuces, potatoes, beets, spinach, tomatoes and legumes, including (but not limited to) beans and peas. This is not a minor or isolated problem. In Montana, laboratory tests confirmed pyralid toxicity in soil samples from 17 counties across the state. Pennsylvania’s state weed specialist has received several reports of contamination, and numerous North Carolina vegetable growers have lost crops to contaminated mulch, hay or compost. Whatcom County in Washington has been hit especially hard, with losses to community gardens and several organic farms estimated at hundreds of thousands of dollars. Those affected think the source of the contamination was cow manure used to produce local composts. These poisons are so powerful that residues can damage sensitive crops at levels as low as 10 parts per billion, according to an Ohio State University fact sheet. Sensitive plants may show symptoms quickly in heavily contaminated soil, or damage may not be apparent for weeks. As the leaves of affected plants curl and shrivel, gardeners often wrongly assume their plants have been hit by a disease or aerial herbicide drift. The EPA gave Milestone/aminopyralid “conditional” approval in 2005, despite inconsistencies in the Environmental Fate and Ecological Risk Assessment submitted by Dow. According to the EPA’s own scientists, “the persistence of aminopyralid [in soil] may be underestimated in this assessment.” Another problem noted by EPA scientists was the risk to endangered native plants. The assessment names endangered plants known to grow in wheat fields, but fails to address a bigger issue: Aminopyralid kills legumes, including wild species that bring nitrogen into the soil, and is consequently capable of crippling nature’s fertility cycle. At the time aminopyralid was approved, reliable lab tests didn’t exist to identify pesticide residue levels in soil, and today such tests cost several hundred dollars per sample. Actually, numerous reports indicate that aminopryalid persists in soil for several years rather than “several weeks.” In North Carolina, a hayfield treated with Milestone herbicide in 2006 was still unfit for tomatoes in 2009. When we pressed EPA officials for answers on what they plan to do about this ongoing problem, all they would say is they intend to reevaluate aminopyralid, with data completion scheduled for 2014. In the meantime, these incredibly potent and persistent plant killers will continue to pollute gardens. To express your disapproval and demand the EPA take immediate action on this issue, contact Dan Kenny of the EPA’s Technical Review Branch, 703-305-7546; kenny.dan@epa.gov. You can also post your comments at the bottom of this article and spread the word to your friends via e-mail or Facebook. Anyone directly affected should file an incident report with the EPA. To protect your garden, network with neighbors to keep aminopyralid out of your local community, and ask lots of questions before importing compost, manure, mulch or topsoil. In addition, new evidence from researchers at the University of Buenos Aires Medical School shows the most widely used herbicide in the world, Roundup/glyphosate, may cause birth defects at residue levels much lower than currently allowed limits. For details, see Groundbreaking Study Shows Roundup Link to Birth Defects.